ALLEGRA BOVERMAN/Staff photo. Gloucester Daily Times. Gloucester: ToodleLoos! 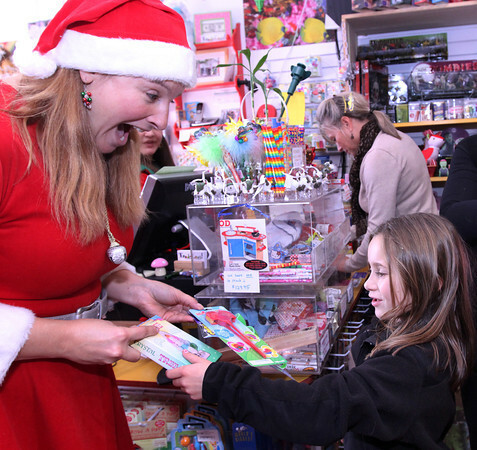 owner Susan Parent, left, gives a prize to Kaitlyn Jackson, 8, while she shopped at the store with her mother on Friday morning.